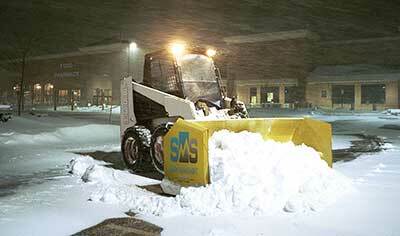 Snow Management Services(SMS) takes winter property planning seriously. Planning Winter for Properties for over 25 years. Planning begins long before the winter season begins. Our Preseason services begin with a visit to your site. 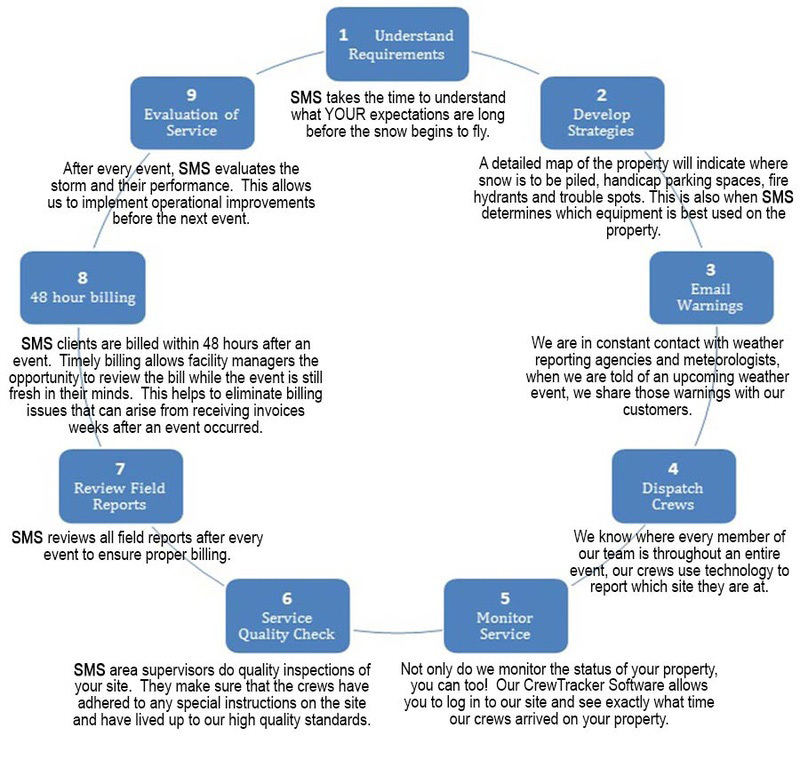 Walking the site with you allows you to point out your areas of concern. It provides us with the opportunity to ask pertinent questions regarding your desired level of service. This is the first step in preparing the necessary sitemaps that Snow Management Services crews will follow during an event. Ice can descend on your site during a freezing rain or ice storm. Warming temperatures can cause existing snow to melt which means it will re-freeze when those temperatures begin to drop again. Snow Management Services (SMS) uses ice mitigation and ice removal strategies during, after and in between storm events, patrolling your site(s) whenever freezing conditions are present as part of our winter risk management program. Snow piles can cause driving hazards and can steal valuable parking spaces, this can threaten revenues thus affecting your or your tenant’s bottom line. Relocating the snow to a secondary area on your site allows traffic lanes to be widened and prime parking spaces restored. When this is not enough, hauling the snow off of your property may be necessary. We help many different types of properties throughout the Denver metro area plan for the harsh Colorado Winters. Our experienced team can help identify any property risks and plan for winter storms. Managing risk is our business, give us a call at or get a free quote.